Just the other day we had a look at a render of the Nexus 6 that was created by Android Police, and it was based on information that the news outlet recently picked up. In that image (above), Android L had a new blue and white icon that seemed to represent a new messaging app, one that might replace or complement Hangouts. Now, a report from The Economic Times suggests Google is indeed working on a brand new messaging client. The news outlet said Friday that Google executives have been touring India where it has been exploring the popularity of messaging apps. The current goal, The Economic Times said, is to launch the new software sometime in 2015 to take on existing competitors like WhatsApp, now owned by Facebook. "Unlike other Google products, the messenger will not force users to use their Google login," The Economic Times said Friday. We don't know much more about what to expect from Google's client, but Hangouts currently requires a Google login and it isn't available on the wide array of platforms that WhatsApp and other competitors are. 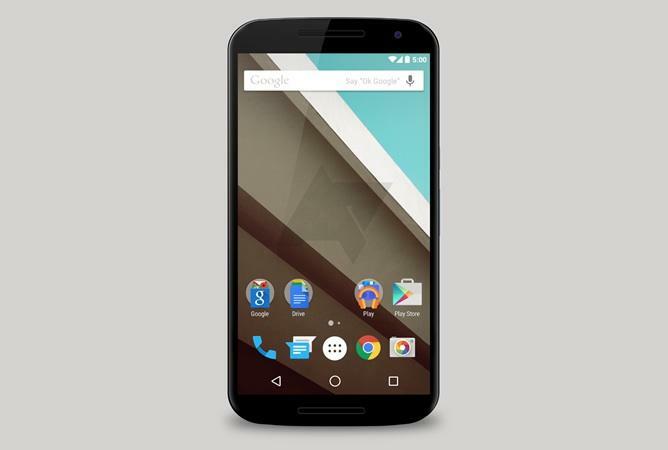 While the aforementioned Nexus 6 image suggested that perhaps Google would launch the new app with Android L later this month, it may not be until next year that it actually hits the market.